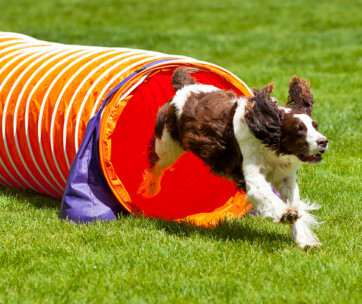 There are many reasons why pet parents and dog trainers love this contraption from Paw Lifestyles. It looks as fashionable as any other trendy pouch in the market. But what pet parents love about it is its thoughtful design and robust construction. 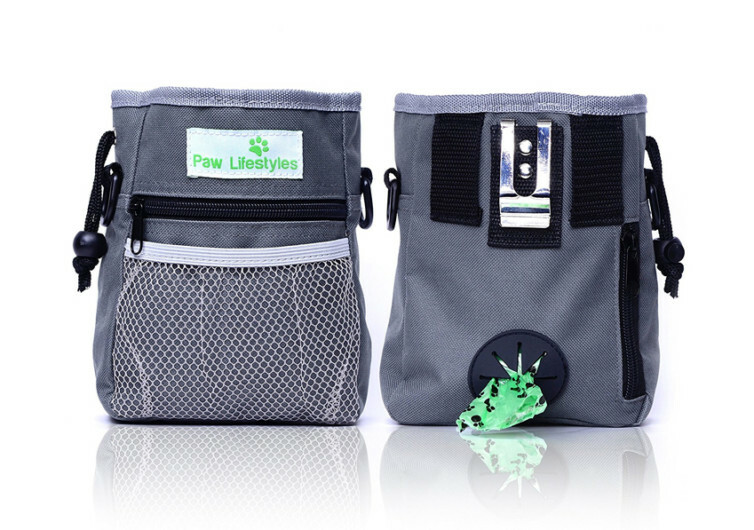 The Paw Lifestyles is not like any other dog training pouches we see in pet stores. 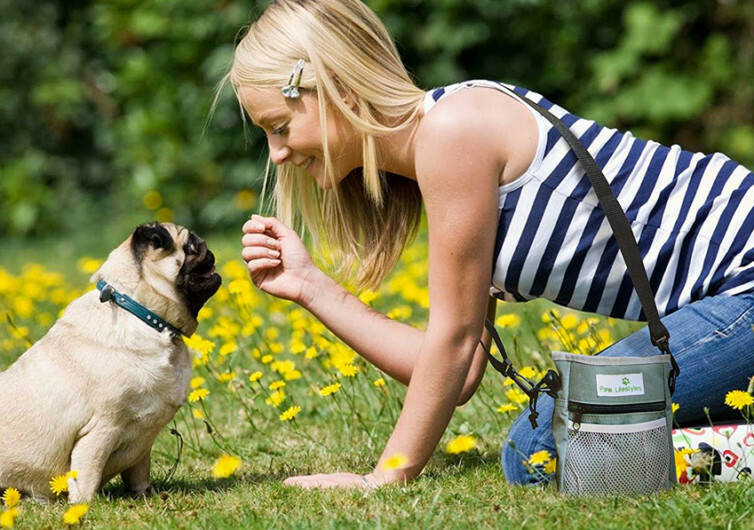 The design is so stylish and trendy that it is easy to forget the pouch is for your dog. It can be your own well-designed pouch to accommodate your small stuff like smartphones, car keys, and others. There are pockets galore to keep things handy and secure. There’s a small one on the side for keeping more valuable items. The mesh pocket up front is perfect for the items you use more often. 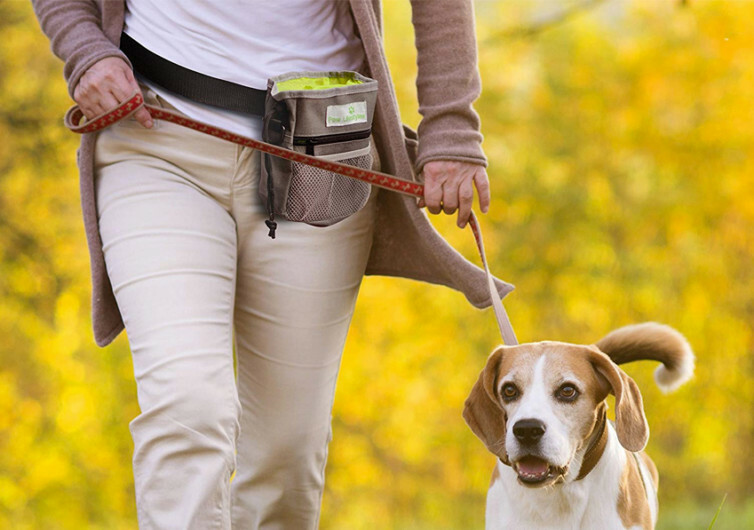 One nice thing about this dog treat pouch is that you can wear it in 3 different ways. It comes with a metal belt clip that you can slip on your waist band or your belt. It is secure enough never to slip off of your body. If security is what you desire, then you can use the Paw Lifestyles’ dual belt loops. This way you can feel more secure about the pouch staying close to you. It also comes with a shoulder strap so you can sling it across your body and use like any other bag. This is not only a treat bag, however. It also comes with a nifty poop bag dispenser. Too bad it doesn’t include poop bags, but you can purchase a pack to put into the dispenser. 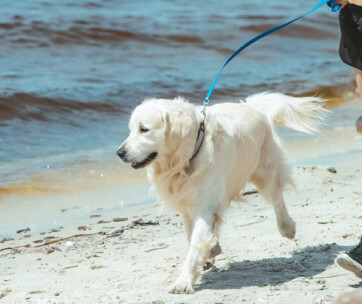 You’ll never have to worry about managing your pet’s waste while training or walking. The Paw Lifestyles training pouch also comes with two D-rings for attaching your other dog training devices. You can clip your training clicker in one of the D-rings and other paraphernalia on the other ring. Whatever you wish to attach to these rings, they’ll handle it with remarkable security. 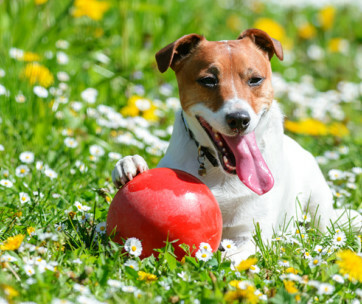 Inside the pouch is a waterproof liner that can keep your dog treats dry and fresh. The drawstrings at the opening don’t guarantee optimum security against moisture, however. There will always be small spaces that can form as you tighten the strings. It is still a nifty mechanism for giving you easy access to your dog treats, nonetheless. The Paw Lifestyles Dog Treat Training Pouch is for those who love to walk and train their dogs in style.